Tanzania is the best East African safaris destination a name synonymous with the Serengeti, Ngorongoro, Zanzibar and of course – Kilimanjaro. With a population of 29 million people made up of over 100 tribes the country is as diverse in culture as it is in geography. Tanzania covers 945 166km making it the largest country in East Africa. Located just below the equator (between 1oS and 11o45’S) most of Tanzania has a tropical climate although there are large regional variations. The coastal belt, as well as the areas around lake Nyasa (known as Lake Malawi outside Tanzania), are hot and humid. Also you can experience the tanzania luxury safari. 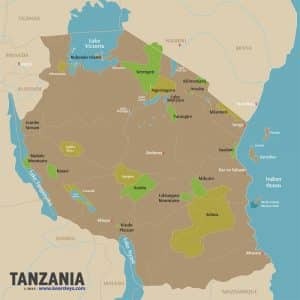 Tanzania is the largest of the 3 East African countries of Kenya, Uganda and Tanzania. It was a German colony before the First World War and was under British administration from 1918 until independence in 1961. Formerly called Tanganyika, it formed a union with Zanzibar in 1964 to become the United Republic of Tanzania. Experience the safaris in Tanzania the soul of Africa is the best attraction there are several world heritage sites Mount Kilimanjaro (Mountain Climbing), Kondoa rock art site, Ngorongoro Conservation area, Selous game reserve, Serengeti National Park and Stone town Zanzibar. Northern safari circuit is the most frequented by tourists for two reasons: Tanzania’s most famous sights, such as Serengeti National Park best highlight of great migration wildebeest, Ngorongoro Crater and Mt Kilimanjaro are all a part of this circuit experience a game drive. Southern Circuit are arguably, the hidden treasures of Tanzania’s natural heritage. These parks are enormous, with some of the highest concentrations of animals anywhere in Africa and a spectacular diversity of wildlife including Roam Antelope, Sable Antelope, African Wild dogs and colorful birds life. Western Circuits are the inland lakes, Lake Victoria, Lake Tanganyika, Lake Malawi and Lake Nyasa. The Western circuit is seldom experienced on its own but is more often an addition to either the southern or northern circuits. Tanzania is its fantastic 800 km coastline with palm fringed beaches of white sand and the historic towns of Dar es Salaam, Bagamoyo, Kilwa, Lindi, Mikindani and Matwara, along with the exotic islands of Zanzibar, Pemba Island and Mafia Island.